 INDIANAPOLIS (December 18, 2018) — Alpha Kappa Psi announces 2017 – 18 Fraternity Award winners in four main categories: Outstanding Chapter Programming, Outstanding Chapter Leaders, Outstanding Volunteer Leaders, and 2017 – 18 Chapter of Operational Distinction. 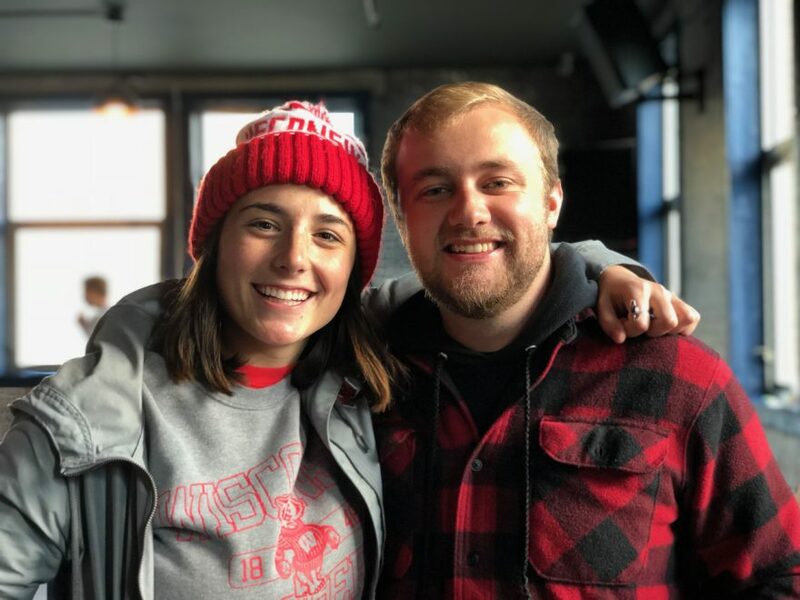 INDIANAPOLIS (December 12, 2018) – This fall, we sat down with Mitchell McMahon, president of the Alpha Mu chapter to find out about events happening at the University of Wisconsin-Madison. 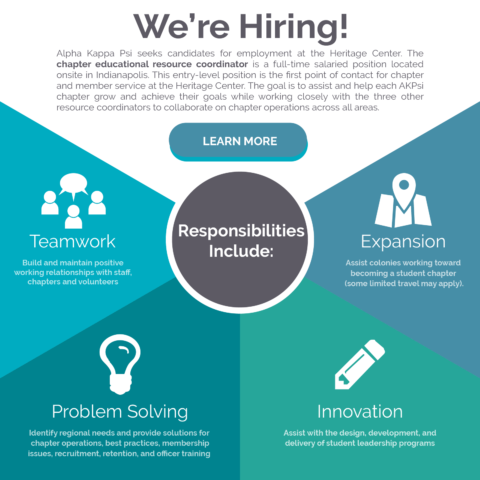 INDIANAPOLIS (October 10, 2018) — Alpha Kappa Psi is seeking a graduate professional to join the Heritage Center Staff as a Chapter Educational-Resource Coordinator. Meet Your New CERC, Jess Seabolt! Meet Jess Seabolt, Chapter Educational Resource Coordinator (CERC) for Area III. The CERC is responsible for assisting and working with AKPsi chapters. Jess graduated from Franklin College in 2017. She joined the staff in November 2017. 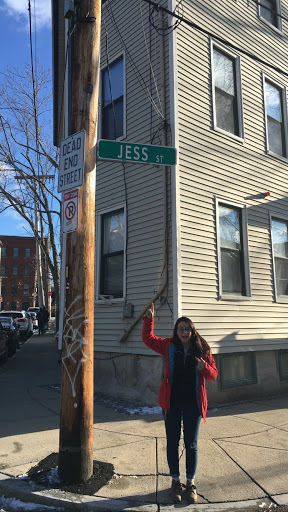 Find out what you and Jess have in common!